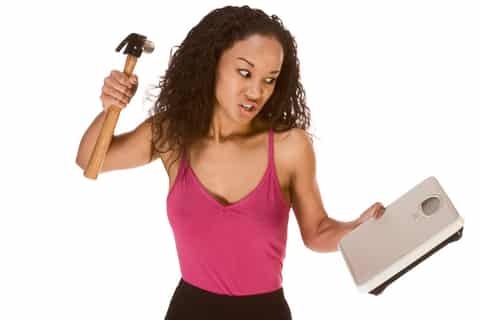 You spend hours and hours in the gym working out but your progress has come to a grinding halt. Before you give up and and go shopping for bigger clothes try a few of these tips to break past that plateau! If strength training is not in your fitness plan you are missing out on major progress. The old belief that using weights makes women big and bulky is outdated and false. 2.) Forget long boring treadmill workouts…HIIT ( High Intensity Interval Training) is the only way to burn massive amounts of fat. Workouts that consist of short intense bouts of exercise followed by a slow recovery time and then back to high intensity work burns more fat in less time. If you are still doing 30 minute jogs on the treadmill or elliptical…stop the madness! 3.) Stop Doing THE Workout! You know what I ma talking about. We have all seen people do the same exact workout routine for as long as you can remember. The same exercises in the same order with the same weight! It is the body adapting to an overload. However once the body starts adapting to that overload there will be no further response. The only way to continue to see progress is to constantly change the variables. Change your workout at least every 3 weeks. Change everything. Change the sets, change the reps and intensity. Forget 3 x 8 with moderate weight. Try 5 x 5 , 6 x 3, 8 x 2. Just adjust the weight accordingly. 4.) Follow A Nutrition Plan That Is Right For You And Your Goals. Nutrition plans are not one size fits all. Every person has a unique situation and different goals. Low Carb? Paleo? Gluten Free? it goes on and on. It is not as complicated as many of the advertisers would have you believe. Just keep your protein intake at around 1 to 1.5 grams of protein per pound of bodyweight and get rid of the bread and sugar and replace with vegetables. The other thing is you have to be prepared. Cook your meals in advance for 3 to 5 days. It is by far the best way to keep your eating on track. Not having food prepared ahead of time will always lead to a fast food window or gorging yourself because you missed meals and were starving. One hour a week preparing meals can make a huge difference in your long term goals. 5.) Hire An Experienced Personal Trainer. I know, I know. Of course I would say this, right? It is just a fact, people who work with qualified trainers see faster and safer results. A knowledgeable trainer will know which pitfalls to help you avoid and design a fitness plan that will work best for YOU. Many of my most successful clients were not beginners. They had been working hard for years to reach their goals. They just needed help to break through that plateau and realized the value of hiring a professional trainer. There you have it. 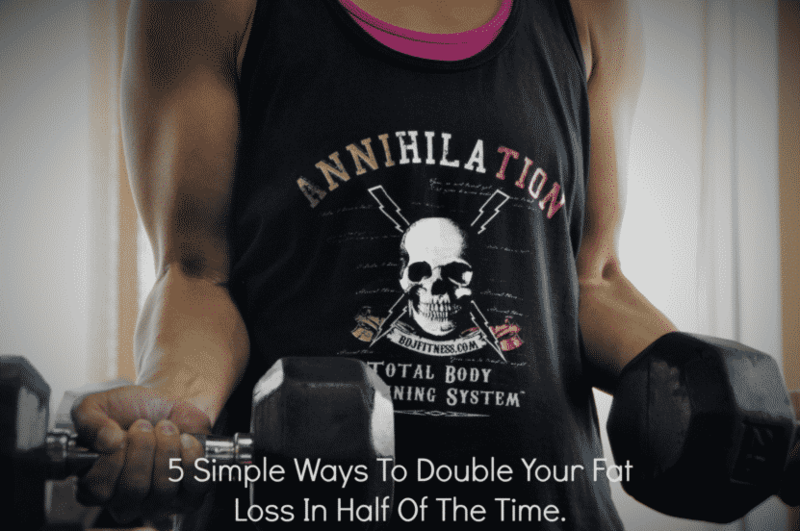 If you follow these 5 tips you will start seeing results at a much faster rate. As always feel free to e-mail me brian@bdjfitness.com for any of your fitness and nutrition questions. 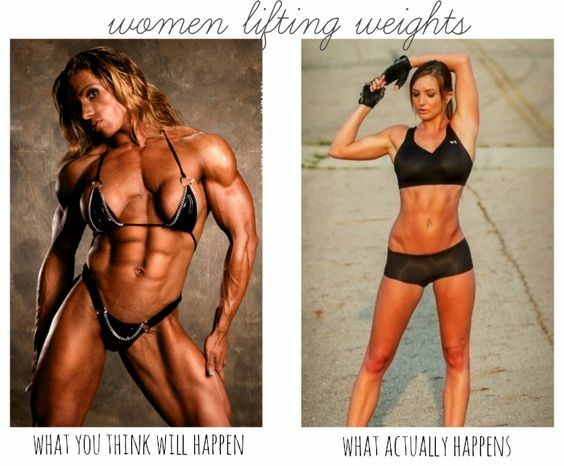 Next Next post: Myths About Strength Training For Women – BUSTED!